Big branch at tomato base. Should I prune? As I understand it, there are different schools of thought on pruning suckers. But what about the idea of pruning the bottom branches? I have a bottom branch that is very big and spreads out pretty far. It is pictured on the left, and I'm not sure if you can tell, but it basically originates at the base of the main stem. Because of its location, should I prune if off? Or should I leave it because of its size? Re: Big branch at tomato base. Should I prune? 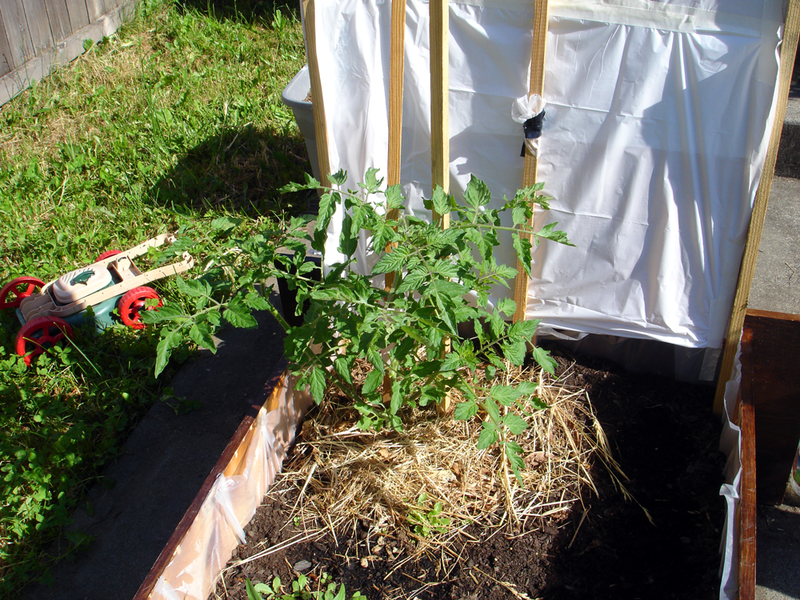 I personally always prune off any branch on my tomato plants that comes anywhere close to the ground level. You kind of obviously have to let them grow a bit first, but from what I understand blight or other tomato plant issues are often times caused by whatever is in the soil being splashed up onto your tomato plants. So you prune those off, and anything splashing up will have a far smaller chance of actually getting to the sensitive tomato leaves. That's what I have taken on the subject anyway. I broke my tomato plant branch and I need help to fix it!